• SAVE TIME! No longer go around and collect sizes, color preferences, and product choices. Now, simply send out a link and your members can shop themselves. • PERSONALIZE your products by offering individual names and number options if needed, too. • WE DESIGN THE WEB PAGE FOR YOU! 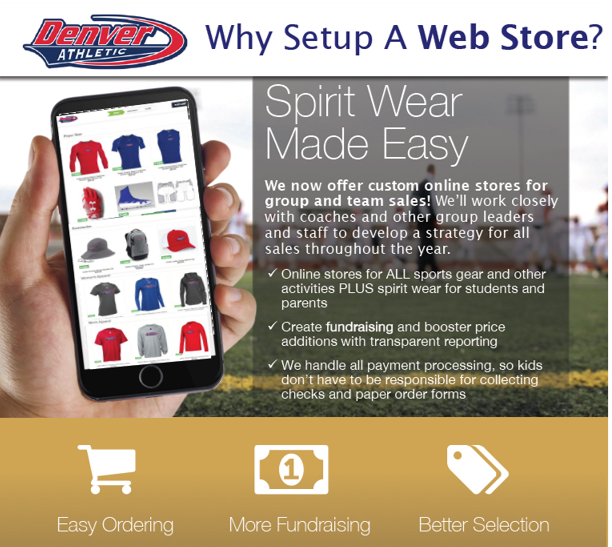 Learn more about Custom Web Stores here! Contact Jason or Josh to get started today!